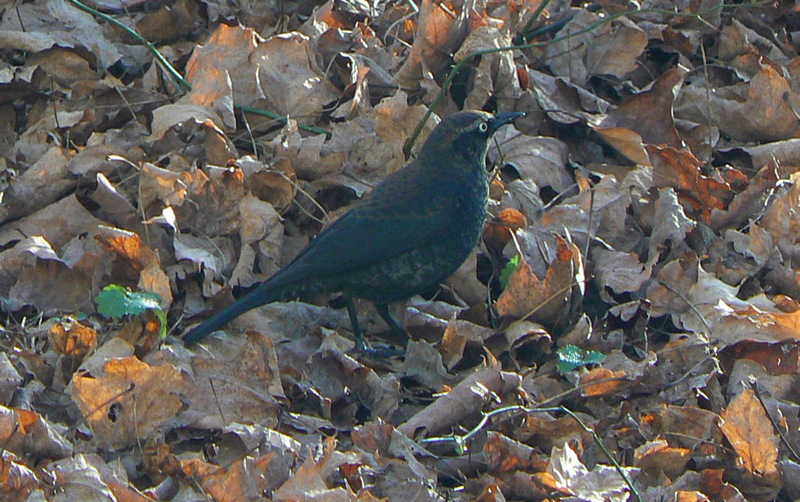 Rusty Blackbird - Gill, Franklin Co., MA. November 29th & 30th, 2010. 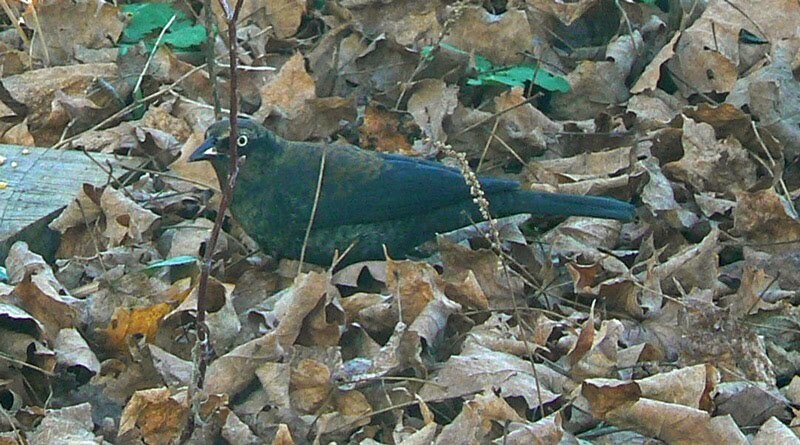 Images taken using Panasonic Lumix DMC-F27 through the basement window. 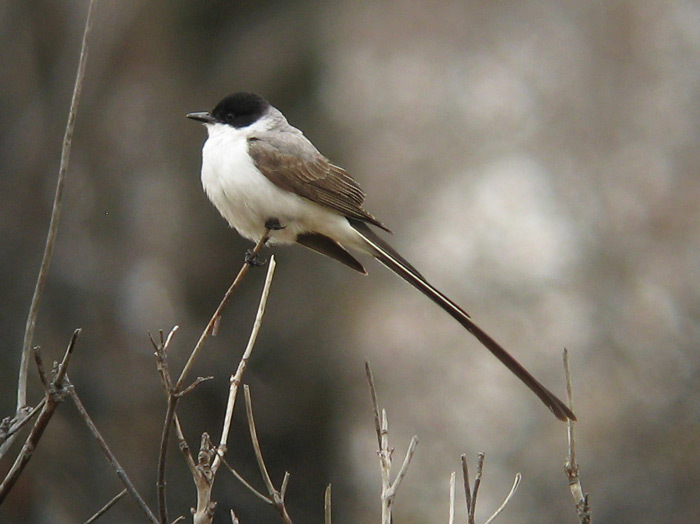 Finally got the yard's feeders up and running again after a couple of weeks hiatus since returning from Israel. 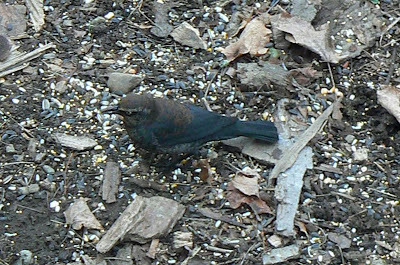 After a slow start on Saturday, activity and diversity picked up today (Monday) highlighted by the unexpected appearance of a Rusty Blackbird in late afternoon. NB. 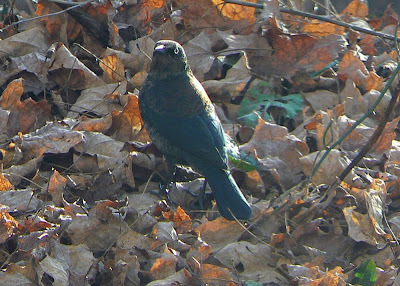 The Rusty Blackbird was again present up to about noon on Nov 30th but not thereafter. 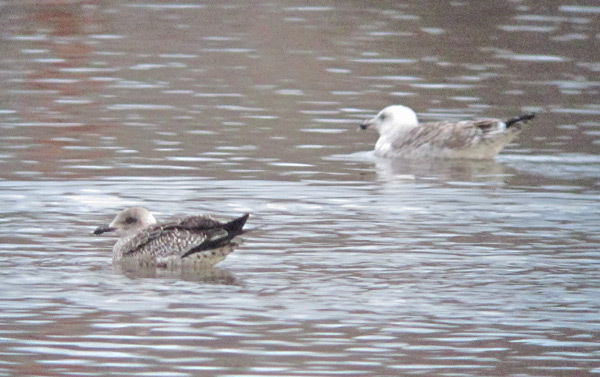 Also, a quick run down to Turner's Falls power canal once again produced the continuing Cackling Goose but also an adult Lesser Black-backed Gull, both of which had been seen the previous day by Scott Surner, along with two Kumlien's Iceland Gulls. 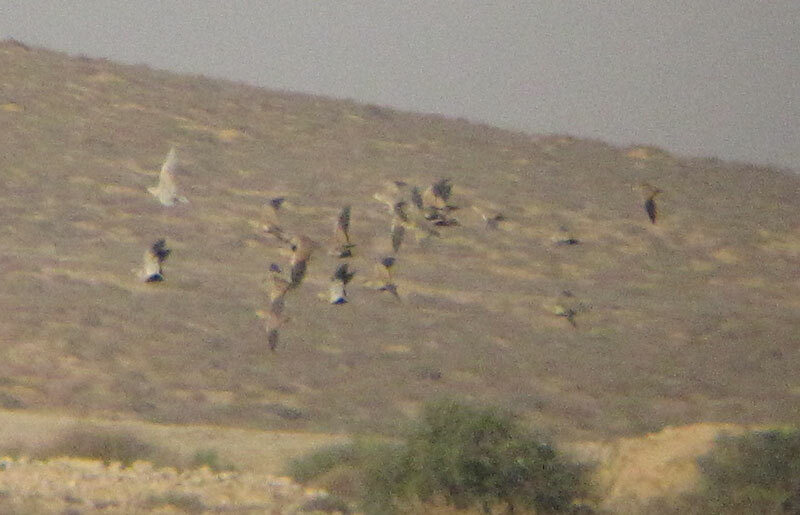 MA - Owls on the run! 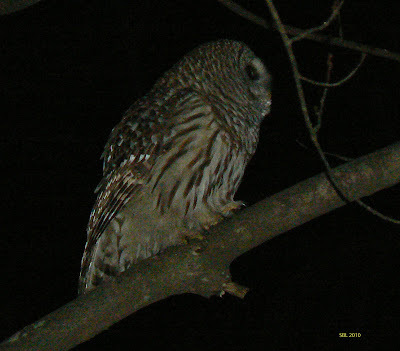 Barred Owl - Main Road, Gill, Franklin Co., MA. November 25th, 2010. Happy Thanksgiving! 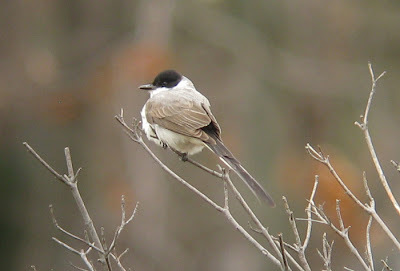 Image taken by Susannah B. Lerman using Panasonic Lumix DMC-F27. Moving to Gill has presented us with a much more rural situation than we experienced in Amherst. Perhaps we've just been lucky but chance encounters with owls have much more frequent and I continue to be impressed with the Northern Saw-whet Owls in our area which I've now found in about five locations within a 1.5 mile radius of the house. 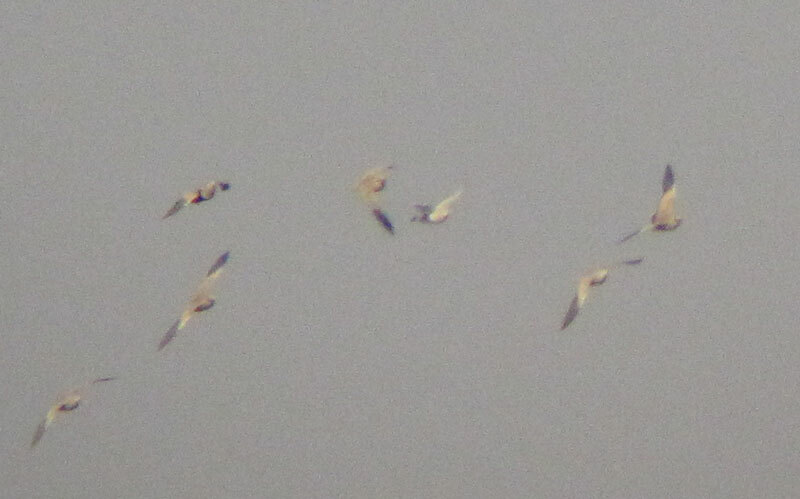 Most of these have been seen and heard on my runs very early in the morning (pre-dawn) and I continue to hear birds to date (Nov 29th) indicating that at least some of these could be residents or winterers rather than just solely migrants. The habitat, or at least my understanding of habitat, seems ideal for Northern Saw-whets with fairly dense stands of young Eastern Hemlock within mature, mixed woodland. Equally impressive has been the range of vocalizations from these feisty little owls. 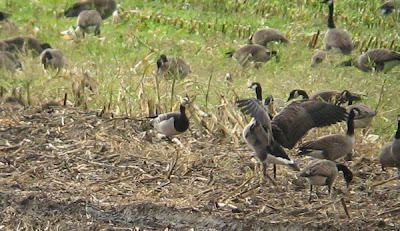 Most of them have not given the classic monotonous 'tooting' calls which I don't think is routinely heard in fall and winter. Instead calls heard have included a rather rich "skew", an agitated whine or wail, a woodcock-like "chitter" and a louder, more aggressive version of the "chitter" call delivered staccato fashion when the bird is especially agitated. One call did surprise me, a very quiet, subtle but constant "tseeet" which I would most liken to the anxiety call of American Robin (the calls heard from parents with young close by). I'm currently looking into ideas to actually record some of these vocals and upload them to the blog. After a quiet spell, Barred Owls have started to show up once more with two sightings on Main Road in Gill on Thanksgiving Day. 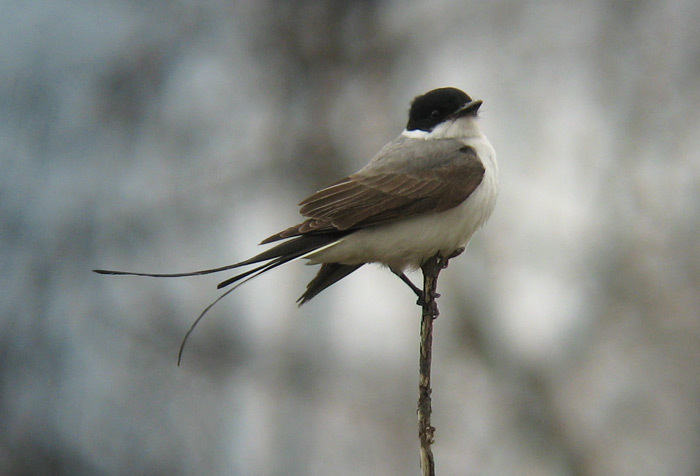 Susannah managed to capture some images of one of these near Gill Fire Station on the way home from Thanksgiving Dinner! Finally found a decent window of time to try for this long staying beauty, present for its ninth day at Cove Island Park Wildlife Sanctuary in Stamford, CT. A long day out from Western Mass but more than worth it. 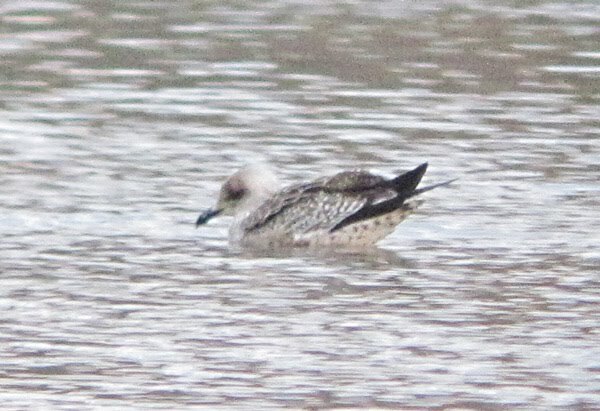 Originally found by Tina Green on November 17th, and consistently present in the same relatively small area of habitat within the sanctuary. This is a bird that I'd love to find in Western Mass someday! 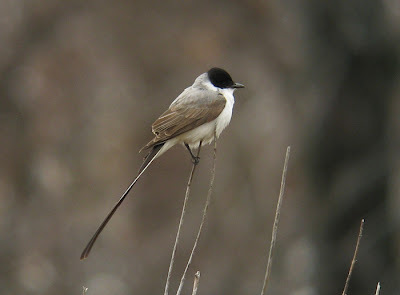 Gracious thanks to Jim Dugan and all in the CT birding community for keeping us informed on a day to day basis. More pics to follow. This is the first batch - taken with my old Canon Powershot A560 hand held with a Swarovski HD spotting scope. 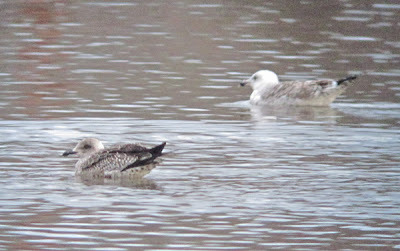 Lesser Black-backed Gull - juvenile with adult Great Black-backed Gull, Turner's Falls, Franklin Co., MA. November 18th, 2010. First interesting large gull of the season - still no 'white-winged' gulls at Turner's this fall/winter. 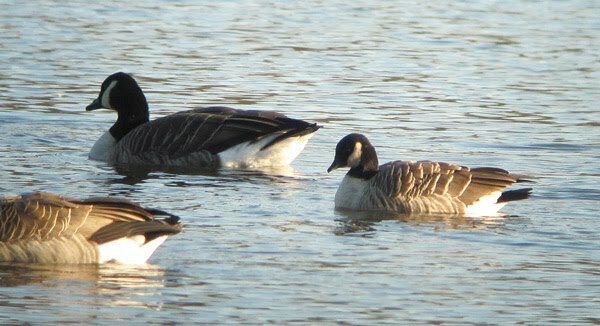 Lesser Black-backs are by no means rare here, but birds in this age-class (fresh juvenile) have been few and far between. Off the top of my head, I can only remember one other. 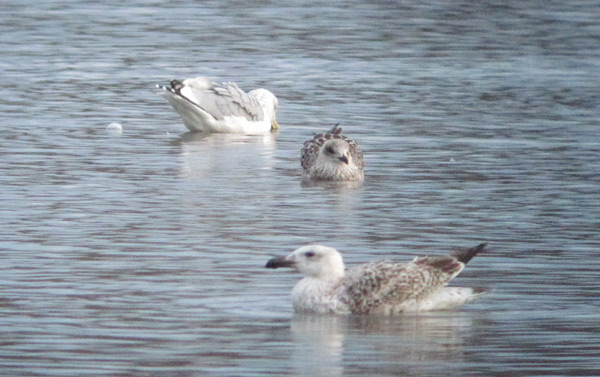 Features include; nice slender all black bill, long black wings, overall whitish cast to head and body, obvious dark 'mask' around eye, narrow fringes to scapulars creating 'scaly' look, white vent and undertail coverts with relatively sparse spotting & barring (compared to American Herring Gull), and relatively small, delicate build compared to Great Black-backed and American Herring Gulls. 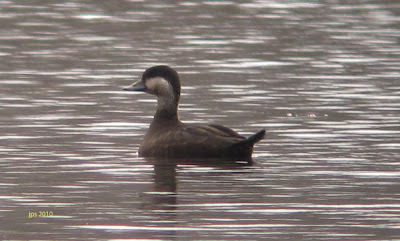 Found relatively late in the day, hence the rather poor quality images. 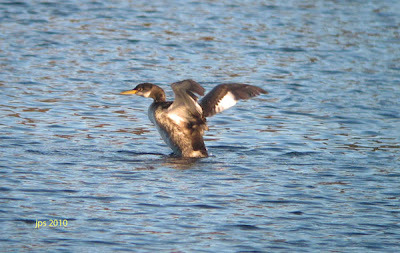 Also this evening, some 50+ Common Goldeneyes came into roost, plus single Black Scoters on the power canal and at Barton Cove, 70+ Common Mergansers and 10+ Hooded Mergansers and a handful of Buffledheads. 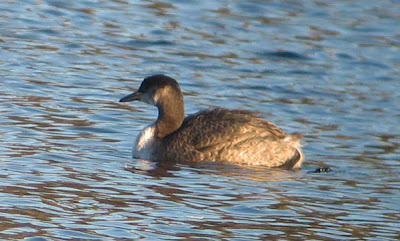 One American Coot remains. 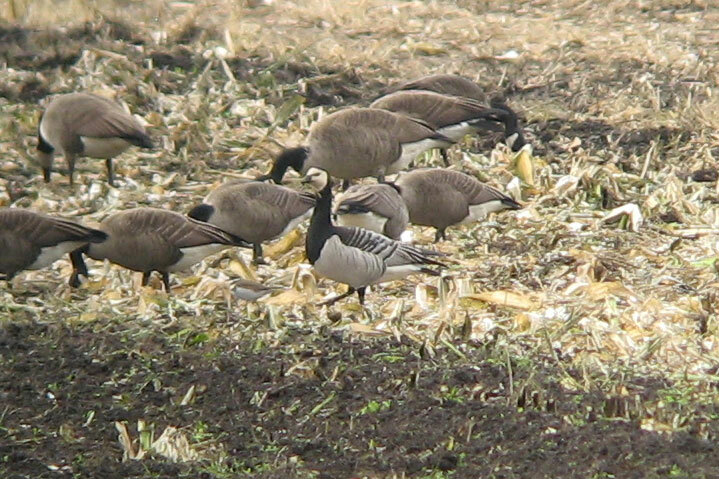 Richardson's Cackling Goose (B. h. hutchinsii) - Turner's Falls, Franklin Co. MA, November 19th, 2010. 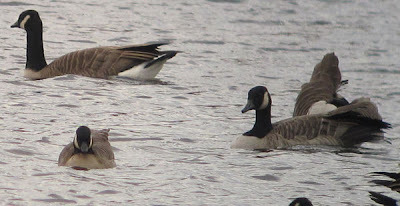 Pretty much a classic looking individual with overall 'cold' appearance, nice broad pale fringes to coverts, whitish-gray breast and angular head-shape (steep forehead and flattish crown). Clearly different to the individual at this link from the same site on November 5th, 2010. The Turner's Falls power canal was once again quite productive this afternoon. 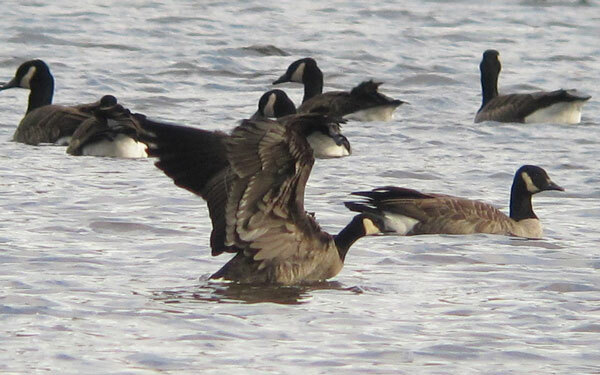 Three female-type Black Scoters caught my attention and then, after several scans, this Richardson's Cackling Goose. 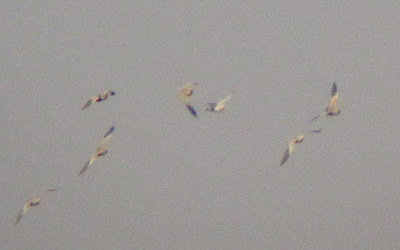 I almost certainly heard and saw the same individual bird coming into roost the previous evening but it was just too dark to be sure. 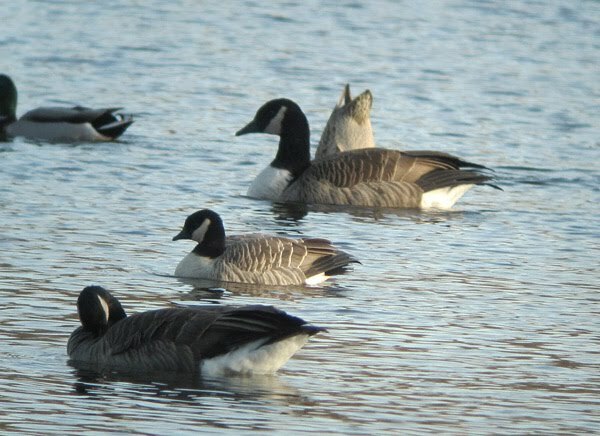 Even so, it was another fine opportunity to study the features of Cackling Goose at close range amongst a moderate raft (c.600) of Canada Geese. 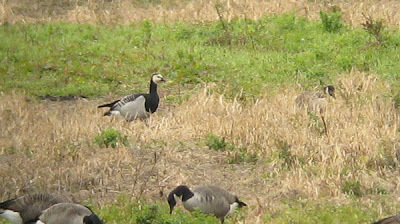 Richardson's Cackling Goose (B. h. hutchinsii) - Turner's Falls, Franklin Co. MA, November 19th, 2010. 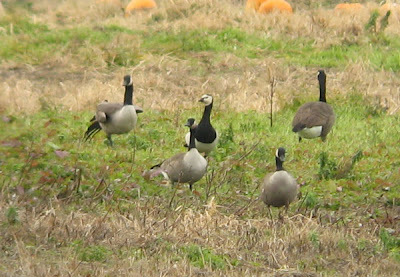 The Cackling Goose is at the extreme right of this crop, in the center of the group. 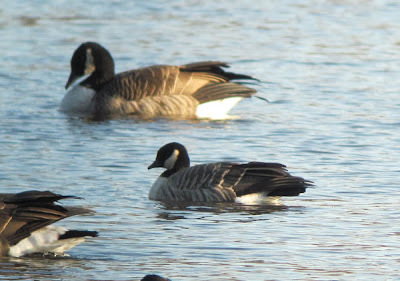 Very small, near 'neckless' and seemingly a broader expanse of white on the cheek covering more surface area on the face (compared to these Canada Geese). 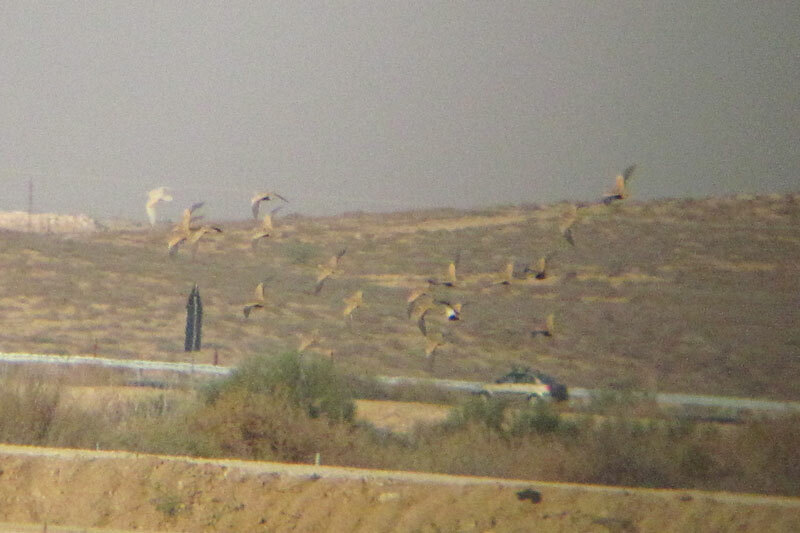 Leucistic Black-bellied Sandgrouse - Nizzana, Israel. November 10th, 2010. 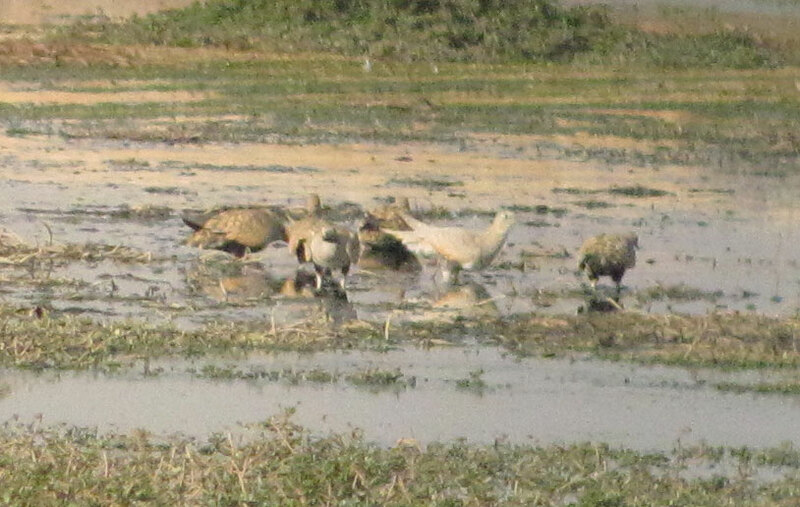 Leucistic Black-bellied Sandgrouse (center) - Nizzana, Israel. November 10th, 2010. 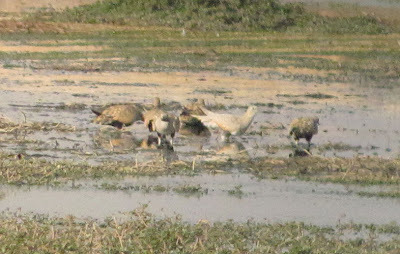 The only image of the underparts. 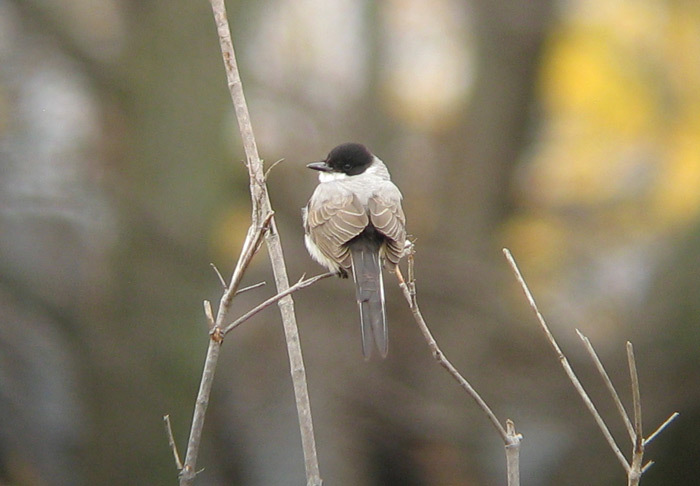 The black belly patch and undersides to the primaries appear washed out gray, not black. After years of looking at sandgrouse in Israel I don't recall ever seeing an aberrant bird of any species but this 'blond' Black-bellied Sandgouse stood out like a sore thumb! It was roughly comparable to seeing a first-year white-winged gull amongst a flock of Herring Gulls. Nice bird indeed and one of the highlights of a fantastic morning watching sandgrouse in Nizzana. 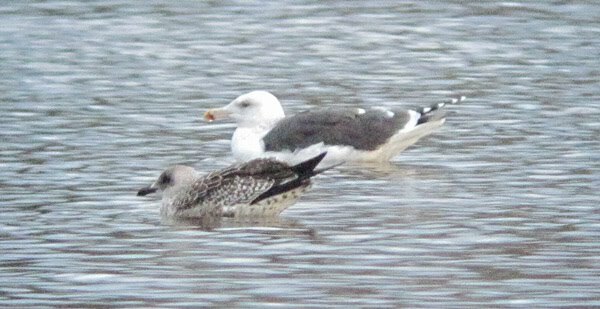 By pure coincidence, Martin Garner has just posted an interesting feature on leucism on his excellent Birding Frontiers blog. Black-crowned Sparrow-lark, Yotvata, Eilot region, Israel. November 11th, 2010. 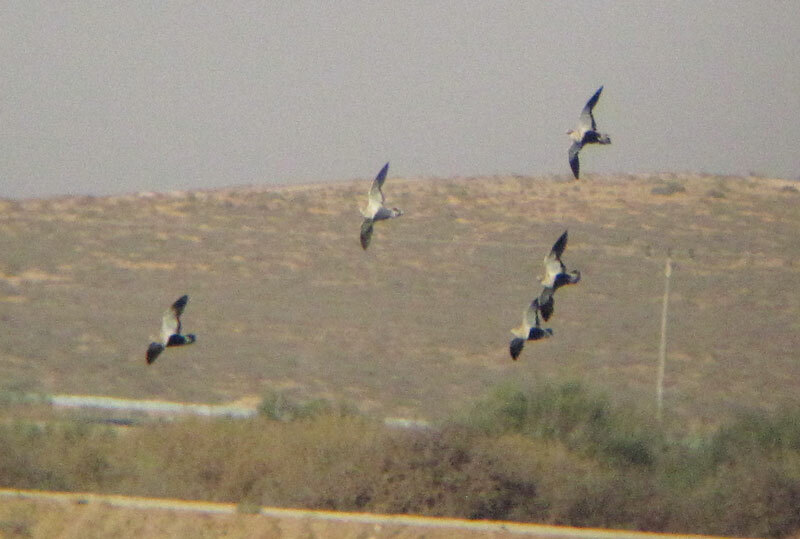 Some belated posts to come from the recent and highly successful Birdfinders Autumn trip to Israel. This Black-crowned Sparrow-lark, a major rarity in the country, was found by Itai Shani on November 3rd and thankfully stuck around until at least the 11th when our entire group enjoyed good views at close range. 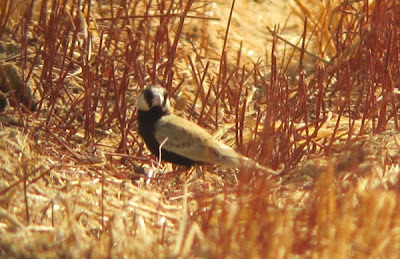 The bird was in the 'magical' circular fields of Yotvata. Gracious thanks to tour participant Steve Cawthray who initially picked up this bird on the 11th. 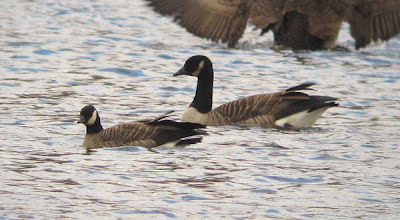 (Richardson's) Cackling Goose B. h. hutchinsii - Turner's Falls power canal, Franklin Co., MA. November 5th, 2010. First unambiguous Cackling Goose of the fall at Turner's. 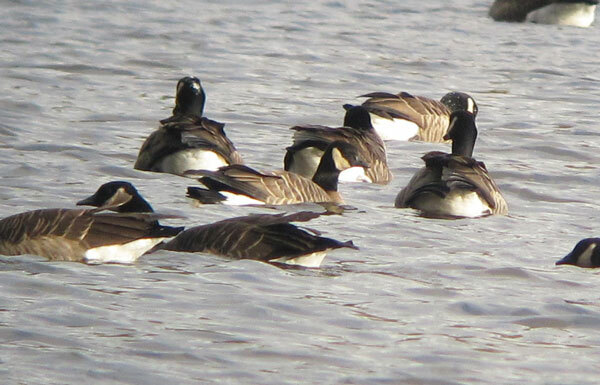 Seemed to come in from the North with a sudden mass arrival of c.500 Canada Geese (newly arrived birds?) in mid-afternoon to join the 300 hundred Canada Geese already present. Another small but very tricky 'white-cheeked' goose was also present which I left unidentified. (Richardson's) Cackling Goose B. h. hutchinsii (left) - Turner's Falls power canal, Franklin Co., MA. November 5th, 2010. It was another busy day at our yard in Gill with Red-tailed Hawk, Ruby-crowned Kinglet, American Tree, Fox, White-throated and Song Sparrows all present at various points in the day. Somewhat surprisingly, numbers of Northern Cardinals have increased to at least 7 birds with as many as four males present simultaneously. Fox Sparrow - some fuzzy shots taken through the basement window. Gill, Franklin Co., MA. November 4th, 2010. 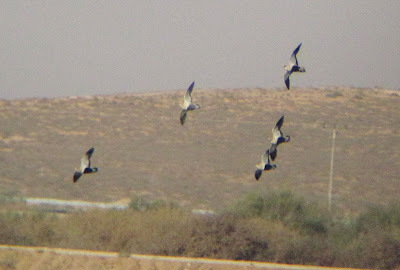 No optical aids used, just a Canon Powershot A1100. The day got off to a great start. During my morning (pre-dawn) run in Gill I stopped to do some stretching and began mimicing the territorial call of Northern Saw-whet Owl. 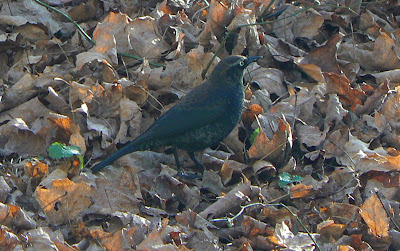 After just two minutes, maybe less, a bird responded from dense hemlocks close to the road giving a 'whine' call. 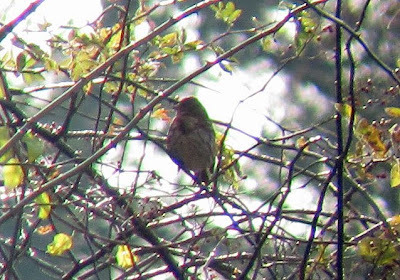 It, or another, called from further back in the woodland a few minutes later. Needless to say, I was delighted especially as the conditions were apparently 'wrong' for owling with increasing wind and rain setting in for the day. The time would have been about 06:15hrs. And the rain, mixed with sleet, really did set in for the whole day with no respite. The feeders in the yard remained very active all day highlighted by a Fox Sparrow, likely the same bird seen in scrub yesterday. 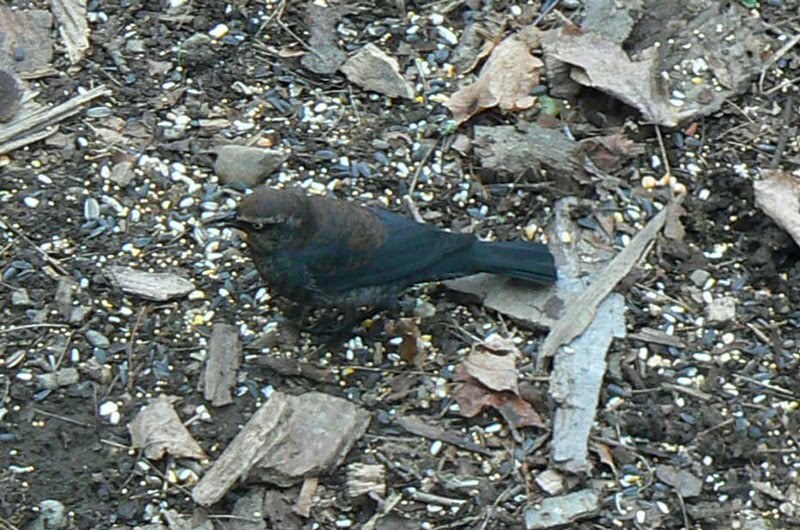 Today, it seemed a bit more at home and fed in the open with Dark-eyed Juncos all morning. 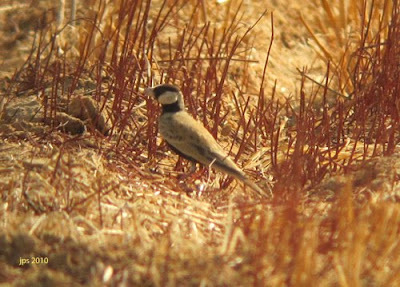 American Goldfinches with up to 15 birds, have been present daily all week feeding exclusively on Nyjer seed. Song Sparrow - Another fuzzy shot from the basement window. Gill, Franklin Co. MA. November 4th, 2010. 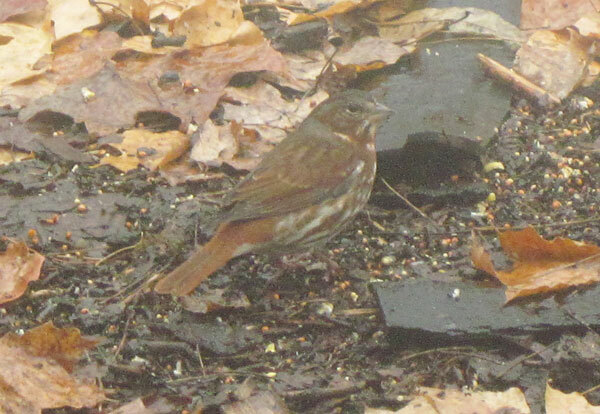 Fox Sparrow. Gill, Franklin Co., MA. November 3rd, 2010. Always nice to see and a yard 'first' for us. 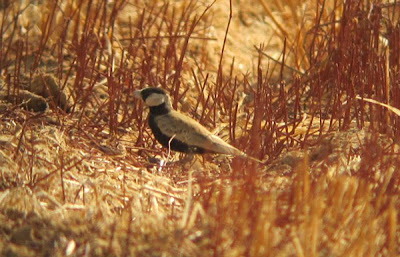 Digi-bin image taken using Leica 8 x 42 Ultravid bins and Canon Powershot A1100. Our yard in Gill has been 'hoping' lately. The large flocks of White-throated Sparrows present for much of October have now moved on to be replaced by Dark-eyed Juncos. A handful of White-throated Sparrows remain though, as do several Song Sparrows. 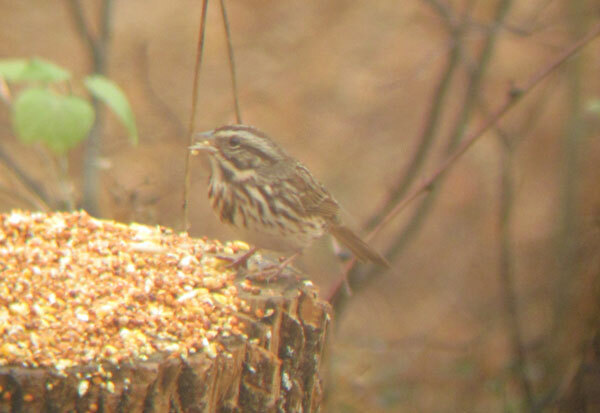 An American Tree Sparrow visited the feeders briefly on Nov 1st and today a nice Fox Sparrow drew attention to itself with its harsh 'schack' calls perching up briefly for a few digi-bin shots. Other good yard birds included two Great Horned Owls calling before dawn on Nov 1st, and an American Woodcock over Main Road on Oct 31st, and daily Downy, Hairy, and Red-bellied Woodpeckers and Eastern Bluebirds. 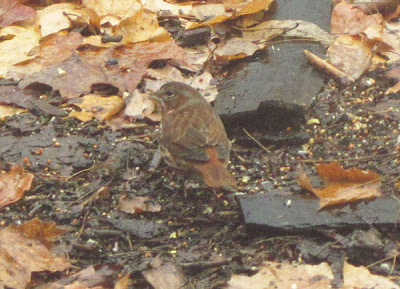 There was also a Yellow-rumped Warbler in the yard on Nov 1st. At noon today, a five minute scan of Turner's Falls power canal produced a male Bufflehead and Hooded Merganser together amongst the Canada Geese but yesterday's Red-necked Grebes and Black Scoter appeared to have moved on. 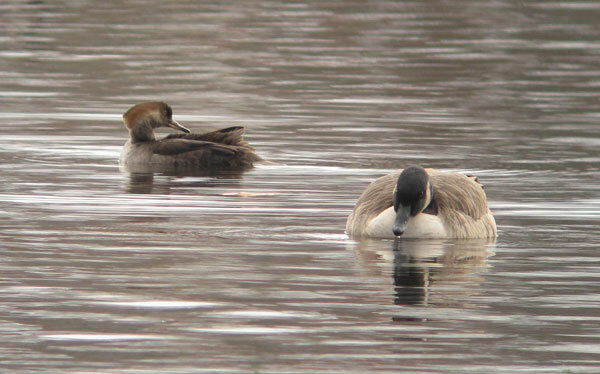 Bufflehead and Hooded Merganser. Males of both species, Turner's Falls, Franklin Co., MA. November 3rd, 2010. Image taken using Swarovski HD telescope and Canon Powershot A1100. Barnacle Goose. School Street, Acton, Middlesex Co., October 21st, 2010. Consorting with c.200 Canada Geese. 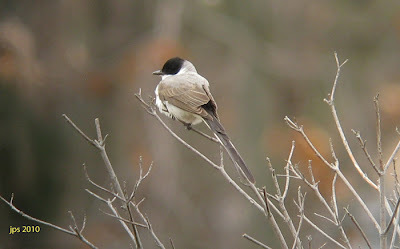 Another highlight of the recent Birdfinders Tour of New England. 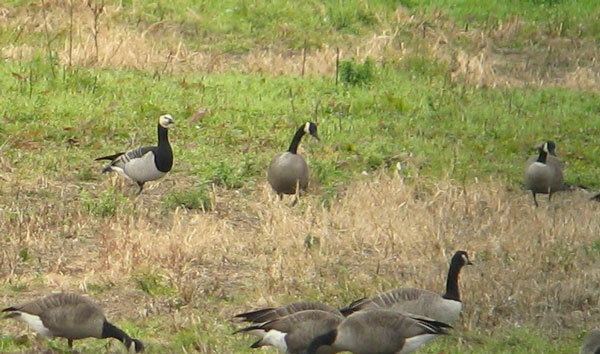 Found by David Sibley on October 20th and still present to date (November 3rd). 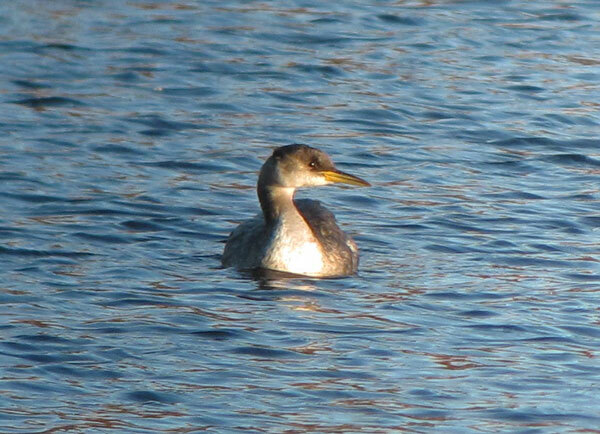 Red-necked Grebes - Turner's Falls power canal, Franklin Co., MA. November 2nd, 2010. 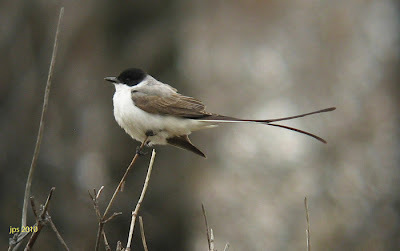 Images taken using Canon Powershot A1100 through Swarovski HD scope. 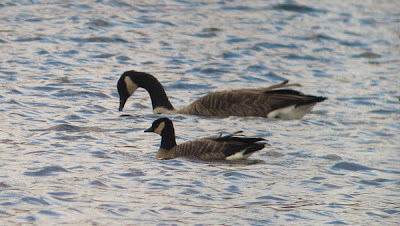 Spent the early evening at Turner's Falls power canal watching for (and hoping for) waterfowl coming into roost. 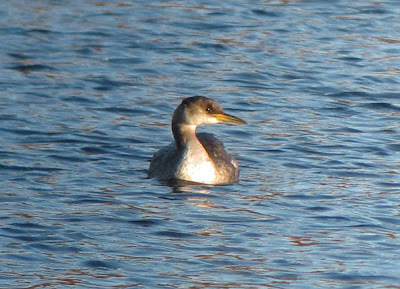 I was thrilled to find some 'new' birds already on the canal in the form of three Red-necked Grebes and a female Black Scoter. 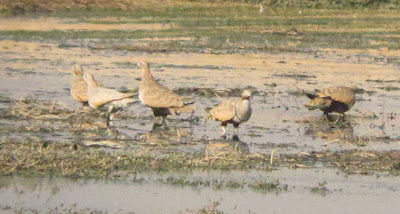 Views of both species were excellent. 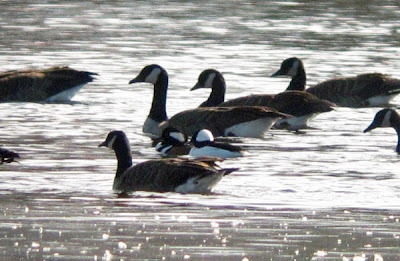 Most of the 600 or so Canada Geese dispersed towards dusk but at the same time a steady stream of Common Mergansers began to fly in with 80 birds present by the time I left at 17:50hrs. 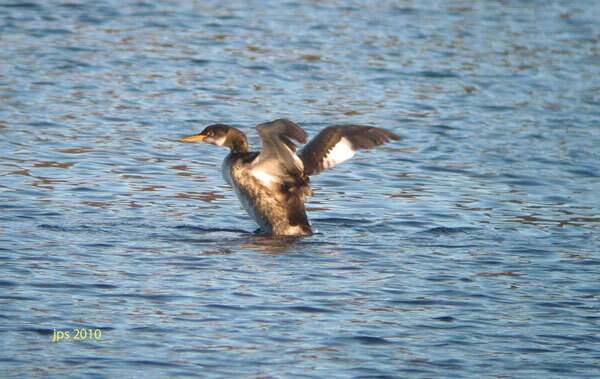 Seven Hooded Mergansers came in as well, but still no goldeneyes - which could arrive any day now I guess? Also present 2 American Coots, and in the woods, at least three Golden-crowned Kinglets and a Hermit Thrush. 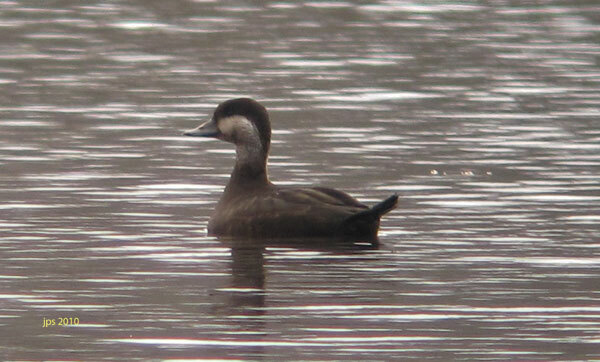 Black Scoter - Female, Turner's Falls power canal, Franklin Co., MA. November 2nd, 2010. 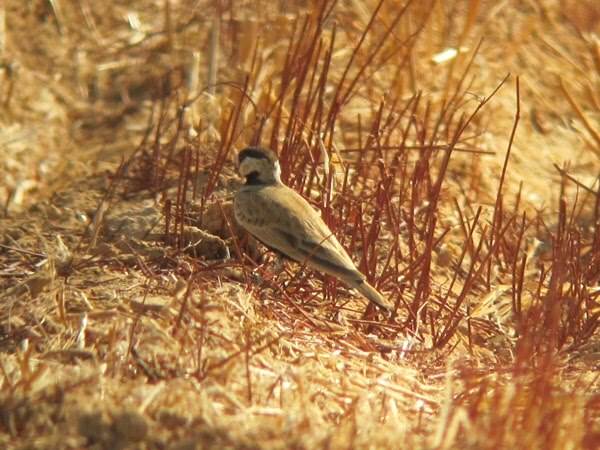 Image taken using Canon Powershot A1100 through Swarovski HD scope. 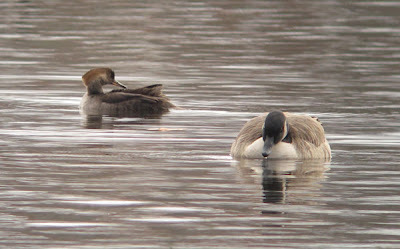 Hooded Merganser - Female, Turner's Falls power canal, Franklin Co., MA. November 2nd, 2010. 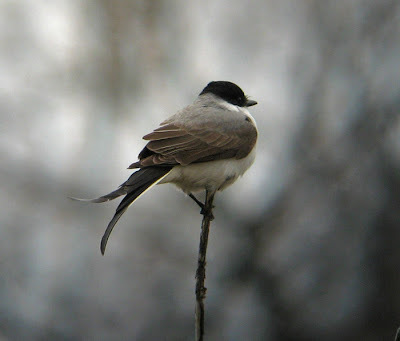 Image taken using Canon Powershot A1100 through Swarovski HD scope.